AB Landscaping, LLC, is a full-service landscaping company owned by Adam Brammer. We are proud to provide quality services to customers in Sharon, Connecticut, and the surrounding areas. In addition to general lawn and garden maintenance, we provide an extensive list of hardscaping, landscape design and excavation services. AB Landscaping, LLC, backs our landscaping and hardscaping services with more than 20 years of experience. Our hardworking, ethical employees have helped us grow into a great local company. We are proud to provide you with quality work at an affordable rate! 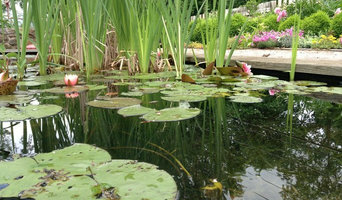 Blue Heron Landscape Design is a design and build firm. Drawing inspiration from nature and from each site's surroundings, we create gardens that accentuate architecture and sense of place, providing our clients with elegant and functional outdoor spaces. 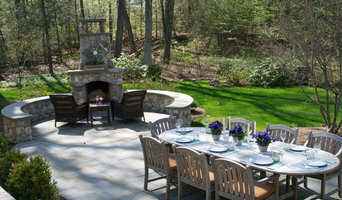 Our projects are primarily residential, and range from small gardens to complete site renovations throughout Connecticut. Scott Hokunson, principal and owner of Blue Heron Landscape Design, has been creating landscapes and gardens since 1981 and brings a wealth of experience and expertise to each project. A proponent of natural and sustainable principles, he works closely with his clients to create elegant and functional outdoor living spaces. As a garden writer, whose work has been featured in Fine Gardening Magazine, Connecticut Gardener Magazine, and APLD's The Designer, Scott also writes the company blog Garden Sketches. He is a founding member of the international garden design blog Garden Designers Roundtable, and lectures to garden clubs and other interested organizations on topics such as garden design, plants, and gardening. Scott has also served an adviser to a Sustainable Landscape Design class at Wesleyan University, co-host, designer, and co-producer of the TV show The Ultimate Backyard Makeover on WTIC Fox 61, and is a past board member of the Connecticut Chapter of The Association of Professional Landscape Designers (APLDCT). 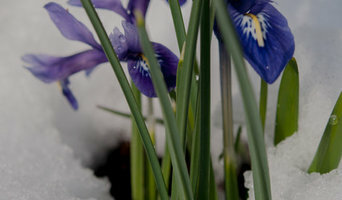 Designing Eden LLC is a landscape design and landscape installation company based in New Milford, Connecticut. For over 25 years we have been providing "Hot Landscapes for Cool People" throughout Fairfield and Litchfield County CT.
Our mission is simple; to create inspirational landscape designs, where exquisite plant combinations compliment the finest quality landscape construction. We are a small team of designers who work very closely with each project from concept to completion. Landform Partners has provided comprehensive land planning and award-winning design services for estate, residential and commercial clients since 2001. Working throughout Connecticut and New York has allowed Landform Partners the opportunity to excel over a wide variety of sites, spanning multiple topographies, ecosystems and styles. As a firm deeply rooted in sustainability, our work is in lock step with cutting edge innovations and green building, ensuring the highest environmental standards in landscape architecture. Landform Partners’ projects range from the Litchfield County rural estate, to the contemporary coastal setting; vastly different in scope, but unified by thoughtful design and an understanding of landscape aesthetics. Well known for designs that foster a seamless flow between indoors and out, our team brings innovative ideas, elegant solutions and over 15 years of experience to every project. Andrew Zema’s Landscaping Inc. is a design/ construction company for diverse high quality gardens and stone work with over thirty years of experience serving Columbia, Rensselaer counties, NY and Berkshire County, MA. Andrew Zema is a member of NYS Nursery/ Landscape Association, Inc., and a NYS Certified Nurseryman. He was the head of the landscaping department at Zema's Nursery from 2000 until 2010. He created Andrew Zema's Landscaping, Inc. in 2011., designing and installing major works that include all aspects of landscape design and construction. His work has been praised for his high quality and artistry. One of his major works was part of the Garden Conservancy tour during an open day in the Berkshires and Columbia County, New York, during the summers of 2010, 2013, and 2014. The work of this outdoor professional includes most everything surrounding a home's exterior. A landscaping architect can even work with the home architect to choose the right spot for your Windsor, CT house. From there the Windsor landscaper will develop preliminary concepts for your front or backyard design based on individual needs including the climate and activities that will take place, as well as layouts and planting plans. Landscape architects will also design any structures or outbuildings that will be added to the space. Any grading changes that will be added to the yard are also the responsibility of the architect. This includes any drainage modifications. An engineer can also be responsible for these tasks, but licensed Connecticut landscapers are fully capable. Like building architects, they will produce preliminary concept drawings as well as detailed construction documents and planting plans. Three-dimensional renderings and illustrative plans are all supplementary. A Windsor landscaping designer generally will have ecological, aesthetic and technical training, which helps them maximize the potential of your outdoor space. Keeping in mind both style and functionality, garden designers analyze your architecture and yard to produce a plan that may or may not include location and materials for walkways, patios, water features, fences, garden aspects and more. In addition, a landscaper in Windsor, CT will carefully assess your geographic region to choose plants, trees and flowers that will flourish naturally, as well as address concerns such as drainage, screening and soil conditions. Certain landscape designers only help with the planning portion, while some may deliver the plans and then oversee a hired landscaping contractor. Others — typically following a design-build approach — take care of both the design and all aspects of the landscape architecture and construction. Find a Windsor landscape architect on Houzz. 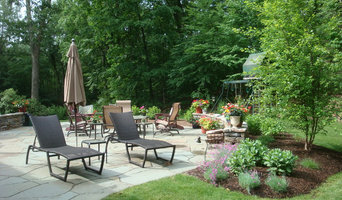 Narrow your search in the Professionals section of the website to Windsor, CT landscape architects and designers. You can also look through Windsor, CT photos to find a space you like, then contact the professional who posted the photo.